2016 was tumultuous for a variety of reasons and in 2017, we think you need to relax on a gorgeous holiday. In fact, we suggest you go off on an adventure and forget about the rest of the World. Why not head off on the road trip of a lifetime? You have the chance to go to a variety of places like a road trip through the United States of America, which should be interesting, to say the least right now. You could head to continental Europe and explore the beautiful countries there. Or you could get a cheap lease deal with a new car and head off on a road trip around England and Wales. The choice is entirely up to you for where you wish to go on your road trip. If you fancy a nice, calm relaxing road trip around the British Isles, we have a few beautiful suggestions for you. First place is in Derbyshire, England. Pack up your car and head to the Peak District for the weekend and search for Snake Pass. This trip will cross the Pennines and Ladybower Reservoir and along the A57, which connects Manchester to Sheffield. The first thing you will notice on this trip will be the glorious views that the National Trust’s High Peak Estate offers you. The second thing you will notice is how fun the Pass is to drive down. It has snug corners and twisted roads, giving you an exhilarating drive. Unfortunately, Snake Pass is only 42 miles long, so we suggest you save it for a weekend holiday. Another road trip you could go on is in Wales. Welsh tourist board has chosen to make 2017 a Year of Legends and you have two options to choose from for a road trip. These two tours can be done by bike or by car (car is best) and allow you to explore Wales and all its beautiful sights and mythological sites. The South West Wales Legends Cycle Route takes you through the four counties of Neath Port Talbot, Carmarthenshire, Swansea Bay and Pembrokeshire. The route is 118-miles long and you get to see the ancient, mythological and historical locations that have inspired and been home to figures like St David, King Arthur and Merlin. The route is a combination of legendary stories and gorgeous sights to behold. The second route is the Legends Tombstone Trail. This route tells the story of those legends like King Arthur through the tombstones and cemeteries that litter the South West of Wales. This may sound like a morbid trip, but on the trip you will explore ancient abbeys, the resting place of Merlin in Carmarthenshire, and incredible scenery that is the bases of so many road trips. If you really want to treat yourself to a proper road trip, jump on a plane, rent a car and take to the open roads of America. California will be the place to go this year. There are a few ways to do it, but it you wish to be a traditionalist, then go in the hot summer months and rent yourself a convertible Mustang (damn cheap over there). But if you want an even cheaper holiday with plenty more storage space, get yourself a Jeep Wrangler from Turo for a very cheap price per day. To make both trips cheaper, aim to do a circle and return the cars back to the city you rented them from originally. So, you have landed in Los Angeles and you have rented your car, what do you do next? Hit the Highway 101 for Santa Barbara. This is around 75 miles and should take you close to 1 hour and 25 minutes. If you have gone in the summer months, you will be driving under clear, bright blue skies, along the coast with the seat on your left and wide open fields on your right. When you reach Santa Barbara, make sure you head to the Longboards Grill and treat yourself to burgers and beers before taking a spin along Downtown. When you are ready to leave Santa Barbara, head to San Luis Obispo, again along the 101. This is another 94 miles and should take you around 1 hour and 35 minutes. This is more of a stop off point on the journey, but it is a gorgeous place to explore, so spend the night, maybe at the Madonna Inn. Next on the trip, you will want to head to the architectural and literary landmark known as Hearst Castle or La Cuesta Encantada. You jump back onto the 101 again, but this time you eventually split off and head onto the Highway 1. This is 44 miles from San Luis Obispo and will take you 50 minutes to drive there. This castle was donated to the California state by the children of visionary and newspaper publisher, William Randolph Hearst. The castle has 165-rooms and 127 acres of gardens, pools and fountains. In its day, it had famous guests like Winston Churchill and Charlie Chaplin. Once you have explored the Castle, Jump back on the Highway 1 and take yourself 91 miles along the coast to Carmel. One thing to note if you have never seen Seals up close before. Stop at Point Lobos just outside Carmel and you will be able to see dozens of seals burping on the beach. When you reach Carmel, this is a place to stay for a few days. You can explore the La Bicyclette for delicious Mediterranean recipes or the Ranch Hotel and Restaurant, which is situated 22 acres outside of Carmel. There are plenty of amazing gift shops and galleries for the art lovers amongst you. Finally, to reach San Francisco, jump back onto the Highway 101 for 122 miles. There is so much to do in San Francisco. There is the famous Dave Eggers ‘pirate shop’, 826 Valencia, which is an excellent little bookshop. You can take a trip on the Blue and Gold Fleet bout tour. It takes you from Pier 39, sails around Alcatraz island and heads under the Golden Gate Bridge. It is well advised that if you want to keep the weather on your side, then do this trip in those summer months of June to September. Outside of those months, you may as well stay in the UK because it is just as flippant. You can extend your road trip for if you want, but that’s what we suggest you do if you fancy a proper American road trip. There are so many other places you can go on an amazing road trip, but this year, our recommendations are for a Californian road trip and a Welsh road trip. 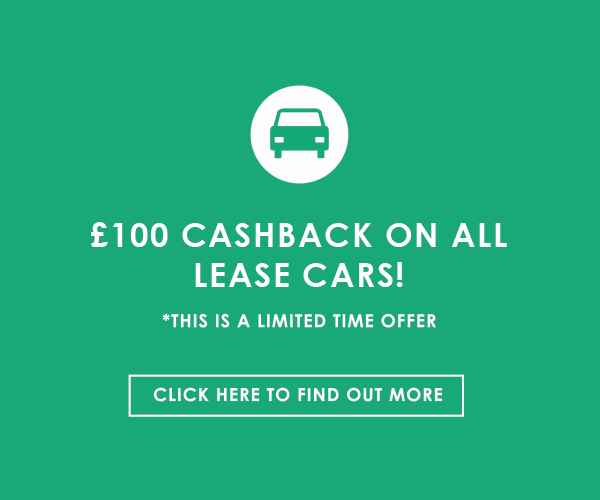 All you have to do is get yourself a car on the cheapest car leasing available and head off on an adventure.